Everyone who signs the pledge receives a “Spread the Word to End the Word” bracelet. 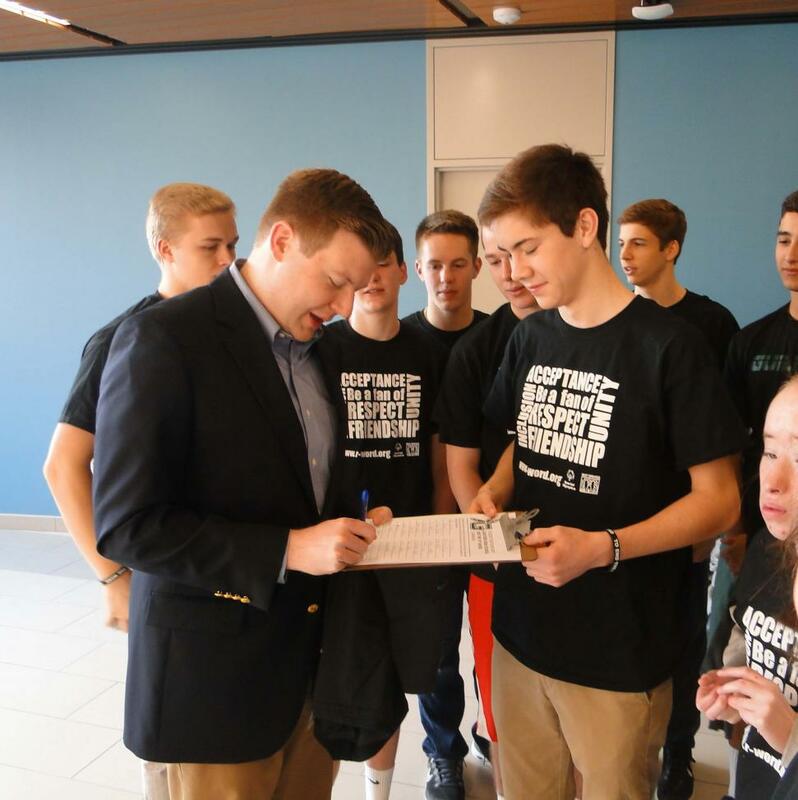 Students at schools across the country have taken part in similar campaigns, which are organized by Special Olympics and Best Buddies International. Guilford High School won the Unified Sports Michael’s Cup award for success during the first year they participated in End the R-Word.